Does Weight Loss Surgery Cure Diabetes? 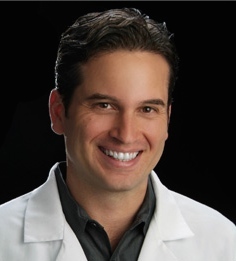 - Allen A. Alvarez, M.D. Does Weight Loss Surgery Cure Diabetes? In 2012, an article in NEJM reported that surgical patients had BETTER outcomes compared to medical treatment for patients that were obese and diabetic. The trial was a three-group, randomized, controlled, single-center study involving 150 obese patients, in which the effects of intensive medical therapy were compared with those of gastric bypass or sleeve gastrectomy. In May 2014, the STAMPEDE TRIAL , a three year follow up of these patients continued to show a significant improvement in diabetes as evidenced by a glycated hemoglobin level of 6.0% or less. 4 Prolonged remission is complete remission (operationally a cure) of at least 5 years’ duration consensus statementA patient faced with the potential devastating complications of diabetes such as kidney failure, blindness, amputations and cardiovascular disease should understand this important opportunity that bariatric surgery can offer. Any time spent “off the train” of the disease sequel may surely prove to be extremely valuable to the overall health of the diabetic patient. EMPHASIS, the treatment of obesity together with diabetes is NOT just about the surgery. It is also about gaining and maintaining a positive healthy lifestyle. It means prevention and health care maintenance. This cannot be overstated enough. BOTH of these diseases, obesity and diabetes, have the propensity of recurrence despite all efforts to keep health optimal. So it is imperative that patients considering bariatric surgery belong to a comprehensive program. Our practice at www.texasbariatric.com centers around this concept of lifetime support and comprehensive care. On going support groups as well as emotional health workshops provide patients with full spectrum healing. Adjuvant nonsurgical or medical management of the whole person is given on regularly scheduled care. Full verification of insurance by calling 210-651-0303. Or schedule a consultation online. Im 5’5 my weight is 185 ,im i a candidate for the surgery? 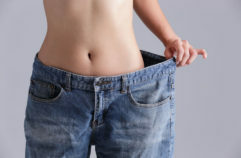 If a person has had a gastric bypass, is it possible to get a gastric sleeve?